For those of you reading this today I hope you are having a happy Mother's Day. It's a beautiful sunny day here in Sydney with hardly a cloud in the sky. 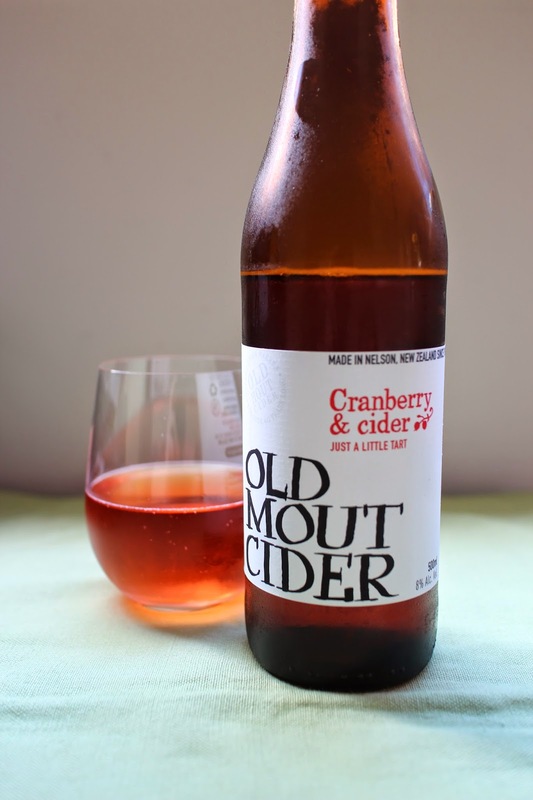 In celebration of Mother's Day, I thought it would be nice to review Old Mout's Cranberry & Cider. It has a lovely pinkish rosé colour and it is rather sweet. 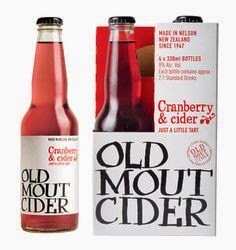 This one is described by Old Mout as " a rather tasty tipple that occurred when our crisp apple cider met its match with a lovely cranberry wine that's just a little bit tart. it might be love"
I love the idea that they have added a flavoured wine to this cider. Whilst it is definitely not a cider in the traditional sense, it does have its place. Old Mout is made in Nelson on New Zealand's South Island, famous for it's vibrant arts scene, boutique shops, fresh seafood and produce. The company has been making cider for over 60 years and they claim that they are always keen to find new ways to do it better. It's nice to see this as part of a company's ethos. Now, this cider is crisp and refreshing, it is not overly fizzy which I like and the cranberry wine does add a nice dimension to it. 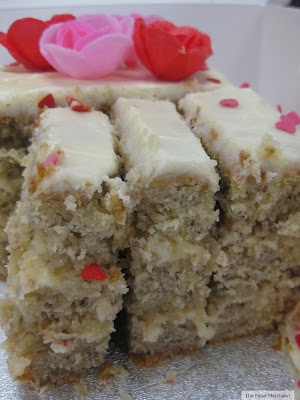 It is definitely on the sweeter side but it has enough acidity to balance it out. Those who enjoy sweeter alcoholic beverages that are looking for something fun and refreshing will enjoy this. It reminds me of a moscato with a cranberry kick.I probably would not recommended this one to die hard cider enthusiasts though. At a whopping 8% alcohol, a 500ml bottle will provide you with 3.2 standard drinks. Enjoy cold with or without ice. Will pair well with most fresh light foods and could probably be enjoyed in place of a dessert wine for something a little different. Available at most bottle shops particularly the bigger ones like Dan Murphy's. The Food Mentalist purchased this cider at Dan Murphy's.